"We had a previous disappointing experience with a different realtor through a different company. Working with Gerald was as different as night and day! He was great! Always available and willing to look at multiple homes. He knew a lot about the houses and area and was very helpful! We will definitely refer him to all our friends and family and call him when we're ready to do it all over again! Our experience was quick, informational, fun and easy!" "Gerald Feenstra helped my wife and I find the house we wanted within our budget. We had to have bugged him at all hours of the day and night. He would respond with a quick and informative response. We looked online at over 100 houses he found in our budget in the region we asked. He also went with us to over 20 houses. Some homes were over 20 minutes away, and that never bothered him. He was always there with a smile. We highly recommend Gerald Feenstra for your real estate needs. We will definitely use him in the future!" "Gerry is very affable, attentive and knowledgeable. We felt very fortunate to have him as our agent. His enthusiasm for the business was above and beyond." "Gerald was great! He was readily available anytime we wanted to look at properties and his expertise was so helpful! We highly recommend Gerald to any buyer/seller. It was a great and enjoyable experience for our first time home buying experience." "Gerald was Great. My family moved to the Grand Rapids area from the east side of the state. He knew the market very well and took his time getting us familiar with the area. We could not be happier with house, neighborhood and school district we ended up in. And it was all thanks to Gerald. I would highly recommend him. "Gerald was very good at explaining the details of the transaction and how everything worked. His knowledge, professionalism and attention to detail were excellent. I had a very good experience with him." "Gerald was great to work with- he did an amazing job helping us purchase our first home. The process was smooth and efficient. If we ever decide to sell our home, Gerald will be the first person we call! If you need to find a new home or are looking to sell then you need to give Gerald a call!" "Great and enjoyable experience for our first home buying experience. Gerald was great!! He was readily available anytime we wanted to look at properties, and his expertise was so helpful! We highly recommend Gerald to any buyer or seller." "Gerald Feenstra was exceptionally knowledgeable in every part of the sale of my home. He has my highest regard of a job well done and completed very professionally!! Excellent with Great Peace of Mind." "Gerald was great to work with! He was always ready to go out and look at homes any time we were ready, and helped us find the best properties in our price range. In addition, his knowledge with the home buying process was extremely helpful as we searched for our first home! We absolutely love our purchase, and highly recommend Gerald." "We sold our home in Walker that we didn't think it would sell so fast! We got asking price within one week on the market. Gerald and his team far exceeded our expectations. He was there from the beginning to the end and is a good friend besides. Gerald is a true real estate professional that you can trust. If you want to have an enjoyable experience buying/selling, I recommend calling him." "Gerald has represented me as both a listing and buying agent multiple times now. I highly recommend calling him. He has found us great deals on homes and then turned around and sold them for top dollar in a short amount of time. I am very happy with his attentiveness to detail and knowledge of the market. You can rely on Gerald and his team to give you the best guidance whether you are buying or selling! Thank you Gerald for your work!" "Gerald was great from start to finish! His honesty created a positive experience and his availability was excellent. Overall it was a great experience." "The Realtors @ RE/MAX, such as Gerald, are not just Realtors. They are friends that will help you get the home of your dreams"
"Gerald has been great to work with! I would highly recommend him to anyone looking to buy or sell a home. Very professional and knowledgeable. He is an excellent guide from start to finish"
"I was very happy with Gerald's expertise and help as my fiance and I bought our first house. He was very honest in his opinion of the house and whether he thought it was a decent house or whether he thought there was a better one out there for us. Gerald responded right away to us with getting in houses to look at, and also whenever I had a question he answered it by the end of the day. I would recommend him to any first time buyers or a buyer who has bought many houses." "We would gladly recommend Gerald to anyone. We found him to be knowledgeable and friendly. He was available at all times to answer any questions and help solve any problems that arose. We are completely satisfied with his service"
"Our search for a home was very stressful until we found the right agent to work with. Gerald Feenstra made everything seem easy when it came to finding a home. He was able to explain the whole process in terms that we could understand. We will definitely be using his Team when we are ready to move again"
"We were hoping to sell our home right away. Working with Gerald, he priced the home right and we had multiple offers within the week. That is exactly what we were hoping for. We were able to turn around and buy the house we had our eye on right away. Everything came together perfectly!" "I highly recommend Gerald Feenstra and his support team. I was provided superior service, timely and accurate market advice, and my home was professionally marketed resulting in a prompt sale. Gerald is a highly motivated realty professional and he has support staff to promptly follow through on important details. If you want to work with an industry professional, Gerald should be your number one choice!" "I would describe our overall experience Excellent! We could not be more happy to have worked with the Gerald and Jake team for our moving process. From day one they did an excellent job, always there to help and make sure we were pleased. We would work with them again any day!" "Gerald is extremely personable and hard working. He made our house shopping experience effortless. We would highly recommend him to anyone looking for a house, no matter what stage they are at in the process. It was a very enjoyable and successful experience!!" "I had a wonderful experience with Gerald and his team. He was very professional, honest, and dependable to do the best job that can be done to sell your house. He sold mine within the 1st month I listed with him!" "Gerald was very quick to respond when my wife and I contacted him about buying a home. His reference came from family friends so we knew that we could trust his reputation. Within a matter of days we had our list of houses and we were scheduled to tour all 5 houses in one fell swoop. We toured our new home on a Wednesday evening made our offer on Thursday morning and accepted a counter offer by Friday evening. To say that Gerald was on the spot would be understating the fact. He had to contact us while we were out of town to discuss the counter-offer and was instrumental in getting us into our new home. I have told several friends about his services and how he was on the spot with everything and I hope when they are in a position to buy again they will utilize his talents for their benefit." "We met Gerald at a home that was not quite right for us but immediately had a list of other homes to see. After going through all the homes in the area, we decided to wait for the right one. We then found a "for sale by owner" home that was perfect for us. Gerald communicated with them and represented us perfectly as we navigated through the home buying experience and even dealt with an appraisal issue. It all came together and we are super happy. Make sure to call Gerald!" "We really enjoyed working with Gerald. He is very responsive, patient, and has a low pressure style which made him perfect for us. We were not sure exactly what we were looking for, so the process took longer than we had thought going in. But Gerald was very patient and helped us to find our dream home. We loved working with Gerald!" "I have worked with many different real estate agents, but after working with Gerald Feenstra the bar has been raised. Gerald will take the time to listen to your wants and needs that make up your dream home. He will give you his honest opinion and drop whatever he is doing to show you a home that will only be available for a short period of time. He will do whatever it takes to make sure you find exactly what you are looking for. Finding the right house can be tough, finding the right realtor is easy. Gerald Feenstra will make your home buying experience smooth and enjoyable." "Gerald is not only a real estate professional but a good friend. He helped us buy a great house in the location we were looking for. He truly understands the market and was a guide through the process of buying our first home. Thanks Gerald!" "Gerald is very trustworthy and knowledgeable. He is quick to get back with you and was extremely helpful in selling our house. While working on purchasing our next house, he is honest in not only pointing out the good features but the bad ones as well. I would highly recommend Gerald whether you are selling or buying a home." "We worked with Gerald for several weeks buying our retirement home in Grand Rapids. He was very helpful and was willing to spend a great deal of time with us even on weekends. It was clear he was dedicated to finding us the right home. We are very happy with the results, and would highly recommend him to anyone looking to buy a home." "Gerald was very knowledgeable about the real estate market and buying and selling process. He was honest with us and always had our best interest in mind. Having a real estate agent you can trust is key. We enjoyed working with Gerald and would recommend him to anyone buying or selling"
"I had a great experience with Gerald on the sale of my house. He was very knowledgeable and professional and had great communication. I would definitely recommend him to friends and family." "I met Gerald after talking to other agents and decided he was the best agent to work with. He was very professional and knowledgeable about the market. I would definitely recommend calling Gerald!" "I think my purchase was a bit out of the ordinary, but went very well. Gerald had a lot of patience with a very picky buyer. We walked through many homes that were way out of his area. He also worked with me on for sale by owners and would help to get me in to see those homes as well. Overall I am a very satisfied customer." "Working with Gerald was a wonderful experience and we would definitely work with him again. He made us feel like we were his #1 clients! Our home sold within two days, for asking price! We couldn't be happier with the outcome of both our buying and selling experiences with Gerald." "We cannot be more Thankful for Gerald and all of his expertise and services he supplied to us while we were purchasing our home. He went above and beyond what we expected. Those working with Gerald in the future will be treated with great service, as we have. Thank you so much Gerald!" "Gerald recently helped us in the purchase of a larger home since we had out grown our current home. He made our home buying experience a great one and was always willing and ready to show us any home. It took awhile to find the home we wanted and through all of it he was very patient and extremely helpful. Thank you for making our home buying experience a positive one!" 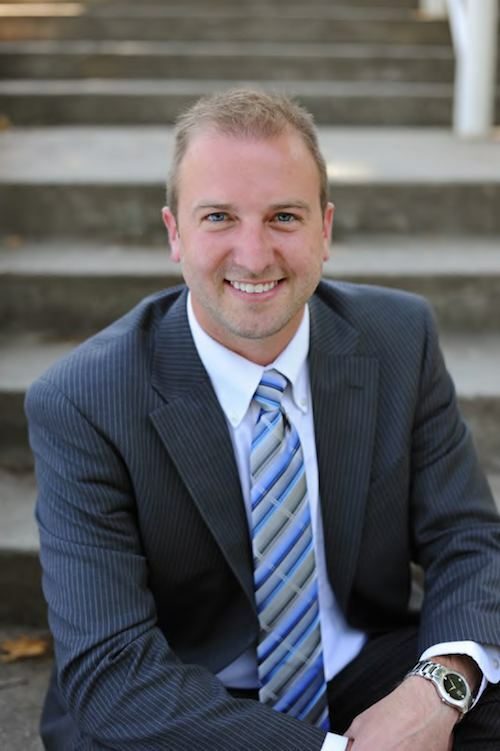 "I've worked with several Realtors over the years, however, Gerald and his team stand apart! I would recommend Gerald and his team to anyone from a first time buyer, to someone looking for their dream home. Sellers will appreciate Gerald's listing strategies as well. Gerald and his team go the extra mile, and provide excellent communication. Do yourself a favor and contact Gerald, you will not be disappointed!" "We were glad to have worked with Gerald and the RE/MAX Team. We had a wonderful experience, and will definitely recommend your services to others. Our transaction went very smooth and quick."